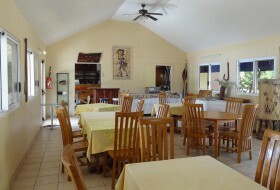 Small recent structure of 7 rooms and 1 suite, spread over 2 floors, with a bar-restaurant. 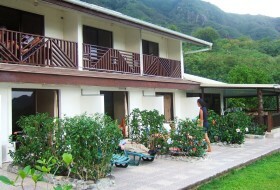 Located in the Bay of Taioha'e, the Pension He'e Tai Inn faces a black sand beach and is located not far from a grocery store. 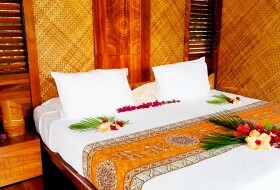 The rooms are spacious, bright, comfortable and all have a terrace and small mosquito screens on windows. Additional advantage: the guest houses the museum and the Marquesan art gallery of the village, where you can admire the fine works of local artisans.